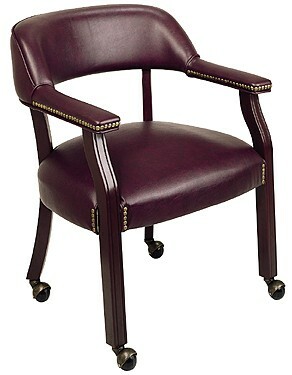 Office Star's Traditional Oxblood Vinyl Visitors Chair-OSTV231 adds elegance and charm to create a look of sophistication to any office. It features a thick padded seat and armrests to treat your guests to luxury and comfort. Available in Black Vinyl and Oxblood Vinyl.